The main service on Sunday is at 1100 and is either Holy Communion or Morning Prayer. "We Are Family!" A gathering for younger families held at 4pm on the second Saturday of the month. A mixture of activities, refreshments prayers and songs timed to be convenient for young, busy families. Come along and enjoy some fun and friendship. Surrounded by its beautiful, historic and thousand year old churchyard, the ancient Parish Church of Saint Andrew lies in the centre of Cranwell Village. 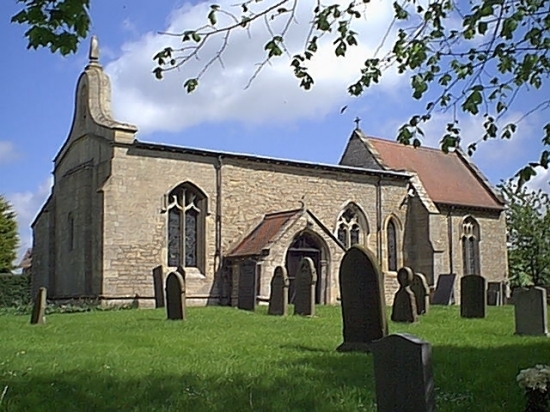 The Grade One listed church is one of the oldest in Lincolnshire. Cranwell was in existence when King Canute invaded through the Humber and became a "war prize" granted to Ulf, one of King Canute's generals. Little remains of the early Saxon church, but the Norse Viking gravestones now displayed in the church stem from that time and there is a beautiful arcade of Norman arches.